West Welcome Wagon (WWW) supports people seeking asylum in the local community by providing good quality donations of material goods, emergency food relief, neighbour to neighbour social support, as well as special projects such as in-home English support and community engagement. It operates in the Western Municipalities of Melbourne (Brimbank, Hobsons Bay, Maribyrnong & Wyndham). WWW supports people seeking asylum on bridging visas and community detention visas. The majority of people supported are on bridging visas, with limited work rights and have a subsidiary income below that of the lowest Centrelink pension. As of the end of January 2016, we have supported over 1500 adults and almost 500 children. Over 80 core volunteers dedicate significant amounts of their time to undertake key operational tasks. We also have nearly 6500 online supporters in our closed Facebook group, who offer assistance when they can. 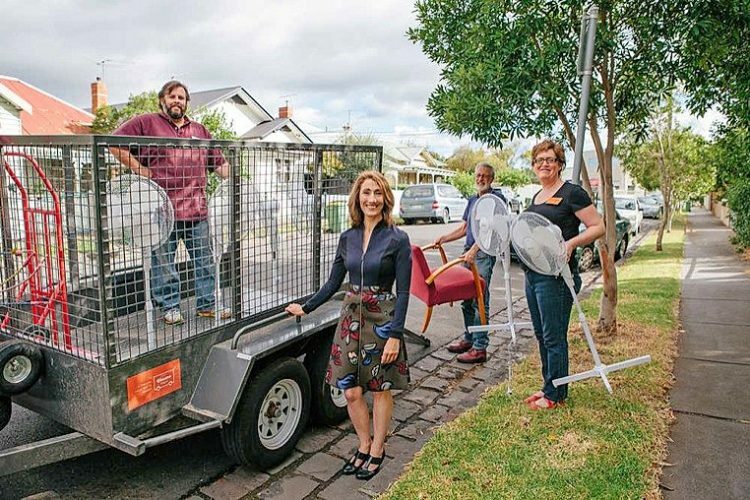 WWW was founded in September 2013 by Yarraville resident, Mia McGregor. After discovering that some local people seeking asylum had been living in an empty apartment for six weeks, without beds or electricity, she spoke with some friends and posted requests for assistance on a local Facebook ‘Buy Swap Sell’ group. The local community’s response was quick, caring, compassionate and incredibly generous. It became apparent that a separate Facebook group could help to mobilise ongoing support. Within weeks, other community agencies were posting requests for WWW’s assistance on their page, and by the end of the year, there were requests coming directly from case management agencies. By December 2013, the group had grown to 700 members and the management moved from Mia alone to a Committee. Referrals are received directly from government funded Case Managers (Red Cross, AMES, Life Without Barriers, etc); from word of mouth; and from allied agencies such as Hobsons Bay Refugee Network. WWW have no regular income, and rely on material aid donations, financial donations fundraising and grants. Material goods are directly provided to people seeking asylum – furniture, bedding, clothing, children’s toys, appliances and kitchenware. We also provide emergency food relief, neighbour to neighbour social support, and in-home English language support. WWW has no paid staff; the group is made up entirely of volunteers working together. Critical to the group’s success is the participation of community members who donate goods; time and money; transport the donated goods to and from donor’s houses and asylum seeker houses; and volunteer in other ways. 2013: WWW supported 913 people seeking asylum (155 children & 758 adults). WWW delivered more than 500 beds, 920 bags of food, 200 children’s bundles and 100 bikes. A year after it began, WWW had around 3500 members and became an Incorporated Association. Registration as a Charity followed shortly after. December 2015: 60 volunteers spent two days wrapping and delivering donated presents for almost 400 asylum seeker children. The biggest current challenge is a need for a warehouse. A central storage location, would enable volunteers to collaborate efficiently without imposing on people’s homes. When WWW first commenced operation, coordinating donations in to and out of volunteer’s houses was a simple and effective method of delivering material aid. However, that model is no longer sustainable for a number of reasons: * Using private homes for collection and storage of donations creates risks both for volunteers and WWW. * Not all donations received are in good condition. They always require sorting and cleaning, tag, pack and sometimes even disposal.